#YQ2016 will be an amazing event. The team is working hard to plan and organize and we cannot WAIT to see everyone in Daytona Beach! This year we have made changes to several different aspects of YouthQuest. You can read over the full list of changes and updates below! If you have any questions please do not hesitate to contact us at youthquest@iphc.org! We’d love to help answer any questions you may have. YQ Cost has changed to $125 per student, ages 12-19 and $50 per leader, ages 20 and above. 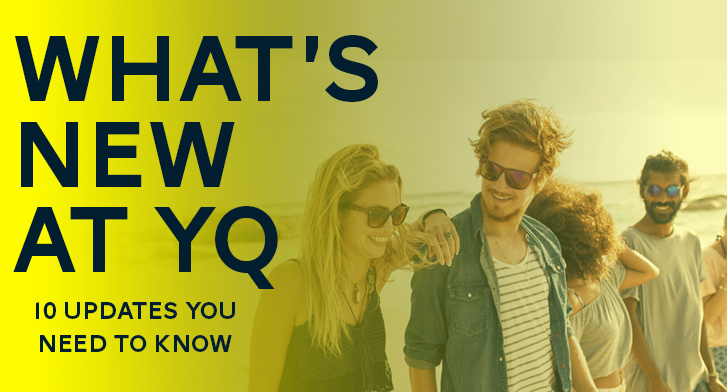 We believe the greatest value of YQ is found in our services and we want to invest in our services and make them experiences that will add momentum to our movement. Registration will be completely online again this year! The YouthQuest online registration will include a new liability release. This releases the IPHC of any liability for accident, illness, personal injury, property damage, or other loss caused either by negligence or risks inherent in the Event. It will be a blanket statement, acknowledged by the Group Contact person. The release will also authorize IPHC to take photos during the event and use those photos for promotion. This release will be made available in a digital format, and will require the Group Contact person to agree to the terms before online registration is completed. As a courtesy, we are also including a copy of a permission form for Student Ministry leaders to use at the church level as another layer of risk-management. The church may download and distribute the form to individual homes and families. We encourage each church to use this form and keep a copy with them on any church sponsored trips. YOUTHQUEST WILL NOT ACCEPT COPIES OF THIS FORM. LEADERS MUST KEEP THIS FORM THEMSELVES. This is a recommended form only. Please consult with your local church’s insurance agent and/or attorney for correct wording and policy to meet your insurance and state requirements. 1) We will not post videos of individual performances on our wesite. 2) We will place signs throughout the event discouraging attendees from placing videos on the internet, thereby breaking copyright laws. 2) During the Fine Arts Awards Show, the recap videos shown onstage will not transmit the audio of unlicensed, copyrighted material. 3) The livestream audience will be able to watch the Awards Show with the selected winning entries, but without the audio of copyrighted material. Student Ministries has partnered with the Tennessee Valley Conference in the Next Level Discipleship Program. Interns who are 18 and above will participate in the entire NL program and then continue on to YouthQuest to serve there before heading home. You can find more information about Next Level here. For those who are interested in interning at YQ but are not able to attend the full Next Level program, we are a very limited number of spots available. Please apply here. Talent Venues have been moved to three venues, all within the Hilton hotel. Services and Fine Arts will ALL be in the Hilton this year; we will not be using the Peabody. ROJ’s must be EMAILED to youthquest@iphc.org by May 1st. Reports that are not filled out correctly or are not on the 2016 electronic form will be sent back and conferences will be kindly requested to resubmit using the updated form. The Fine Arts Festival will be providing a state of the art drum kit, keyboard, and amps for students to use in solos and group performances. PERSONAL DRUM KITS, KEYBOARDS, OR AMPS WILL NOT BE ALLOWED. Sound and Video will be controlled by a professional engineer on our Audio Visual team for each Talent Quest venue. Practice times will be available to give students time to become accustomed to the equipment.